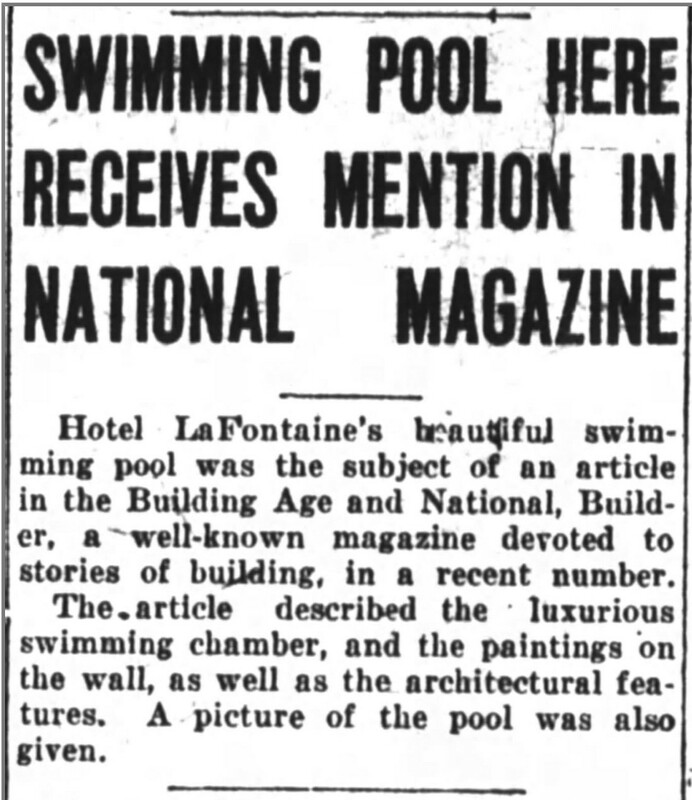 The Hotel LaFontaine and two story olympic Egyptian Pool included eight panels in the Egyptian theme by Grell surrounding the entire mammoth pool which had seating for 600 onlookers including the upstairs balcony. Each panel was approximately 7′ Tall by 15′ Long. 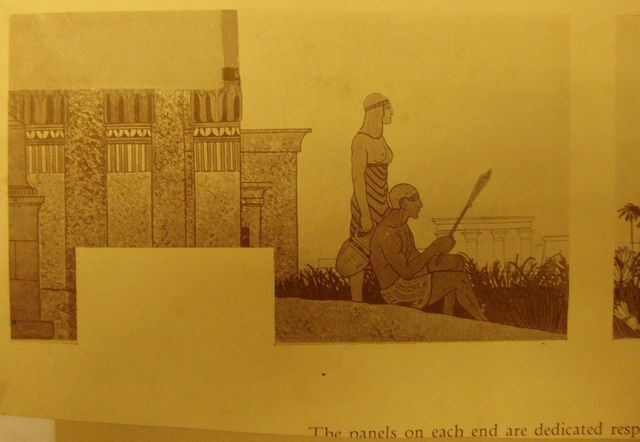 The Iowa Grell collection Includes the watercolor mural study for the “Cleopatra” panel #8. It was very common practice for Mr. Grell to compose a sketch for the proposed commission and then produce a watercolor to provide the client with the intended color patterns which was also used by the artist during composition of each panel. 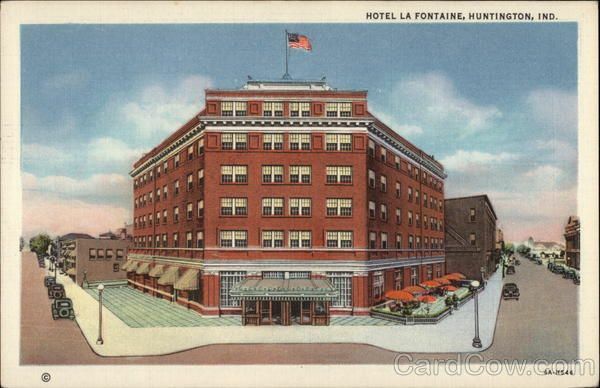 The Hotel Lafontaine in Huntington, IN officially opened on Saturday, October 17, 1925 with an opening reception, but the main attraction was a swimming event including olympic champions Johnny Weissmuller, known as the “Human Hydroplane,” Conrad Mila, Sybal Bauer, holder of nine world records, Caroline Smith, Ethel Lacke and others. 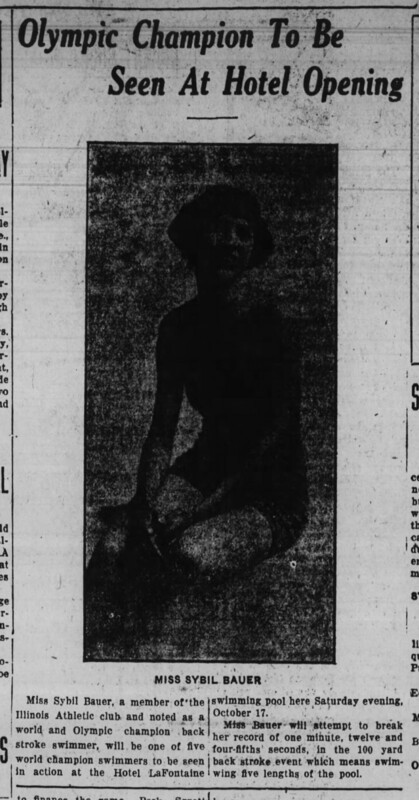 An actual, “official” swim meet was held on opening night. 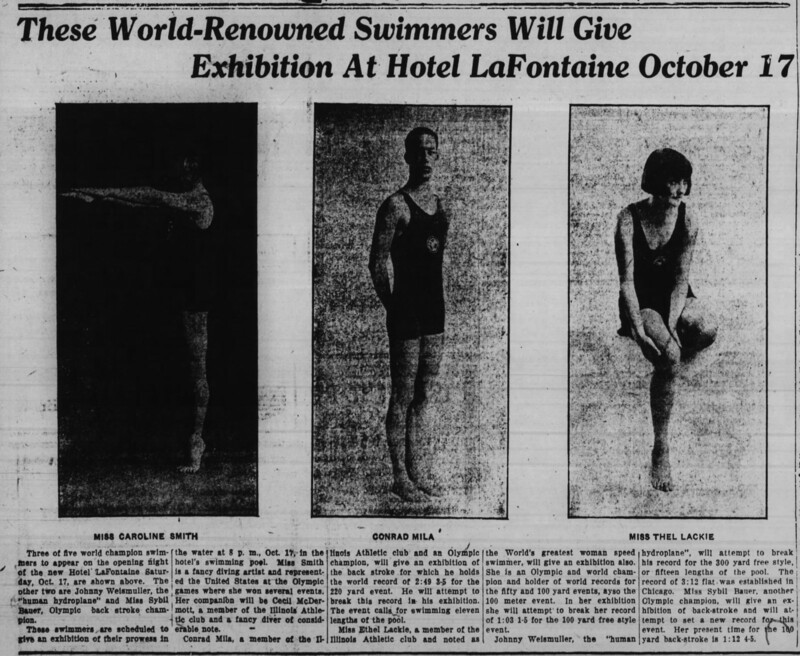 All swimmers were Olympic and World record holders at the time. Only one new world record was set that evening by Arne Borg of Sweden in the 600 yard dash. Conrad Mila tied his world record in the 220 yard backstroke. 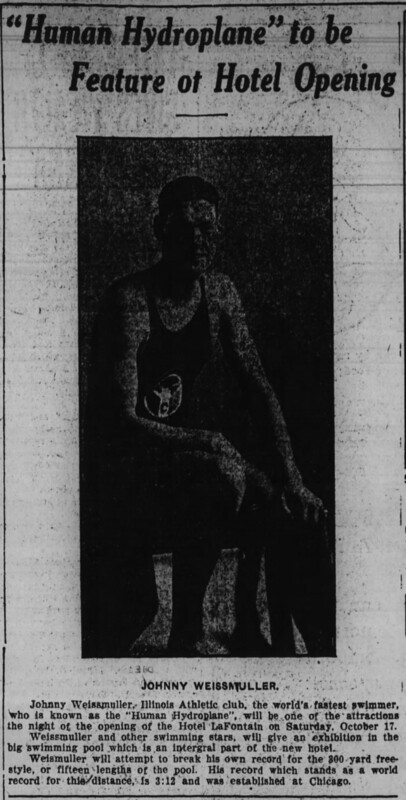 Many participants were members of the Illinois Athletic club coached by William Bachrach who was also the US Olympic Swim Team head coach. 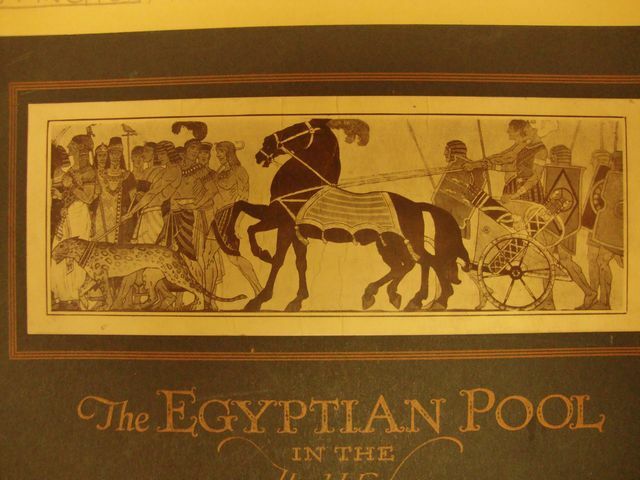 Coach Bachrach said of the event and facilities that the “Egyptian pool was the finest he had seen in all his travels.” As reported in The Huntington Herald, 8,000 people attended opening night festivities and 600 swim fans enjoyed the official swim meet. 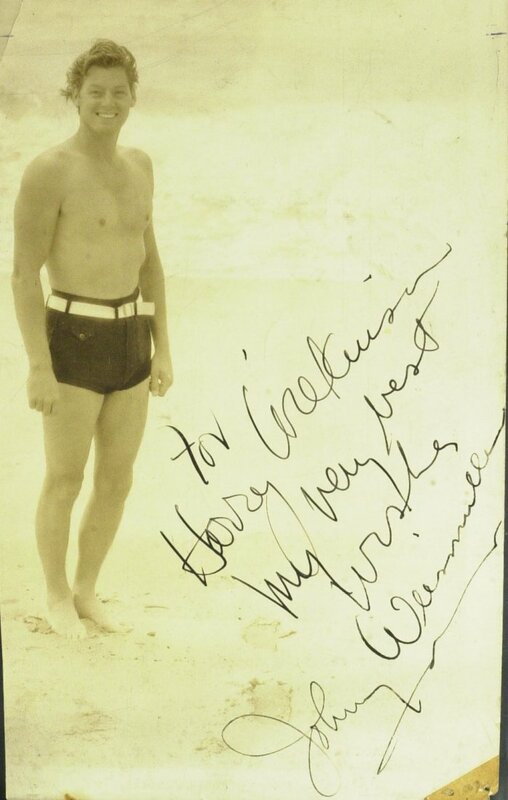 Johnny Weissmuller went on to great fame as the star of the TV show, Tarzan. 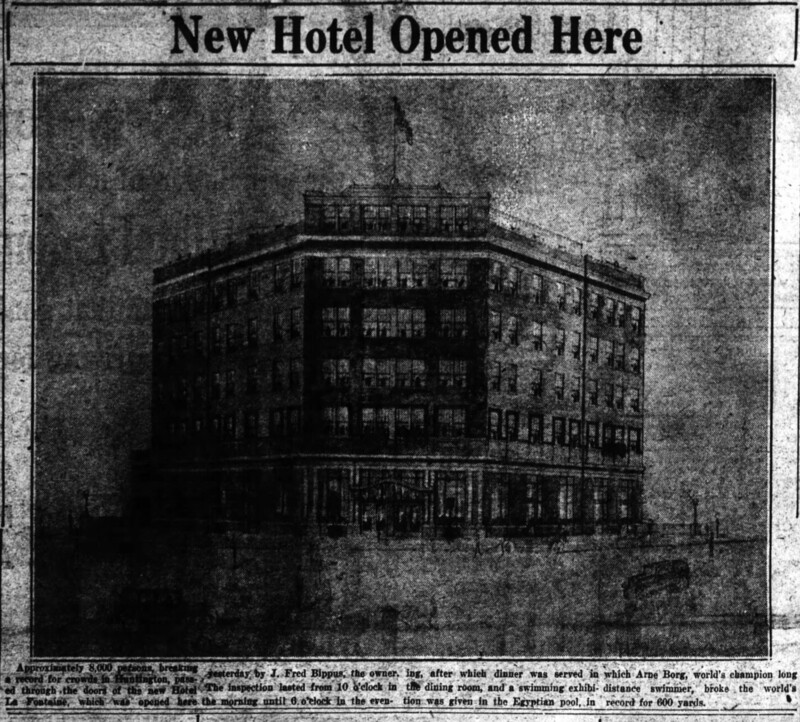 Grell’s connection to the project was through Harry W. Abel, Interior Decorator of Chicago. 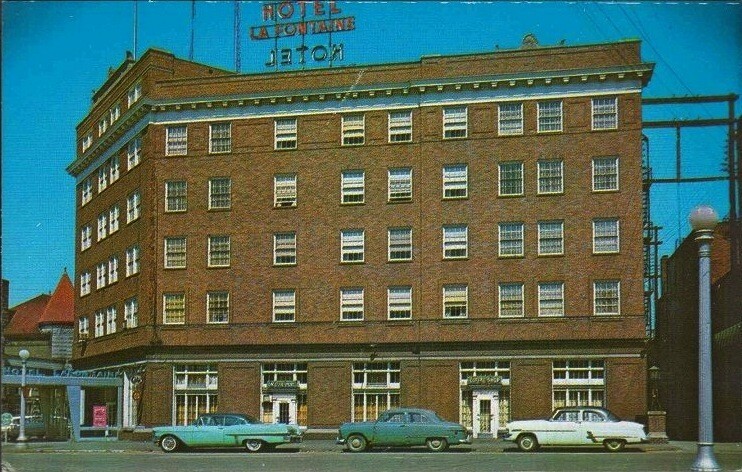 An eight lane, professionally toured bowling alley was installed in the basement of the hotel which also included a dining room, lounges, a coffee shop and chocolate shop on the main level. The current status of the murals is unknown to the Foundation.